This entry was posted on April 29, 2016 by Nick Caron. 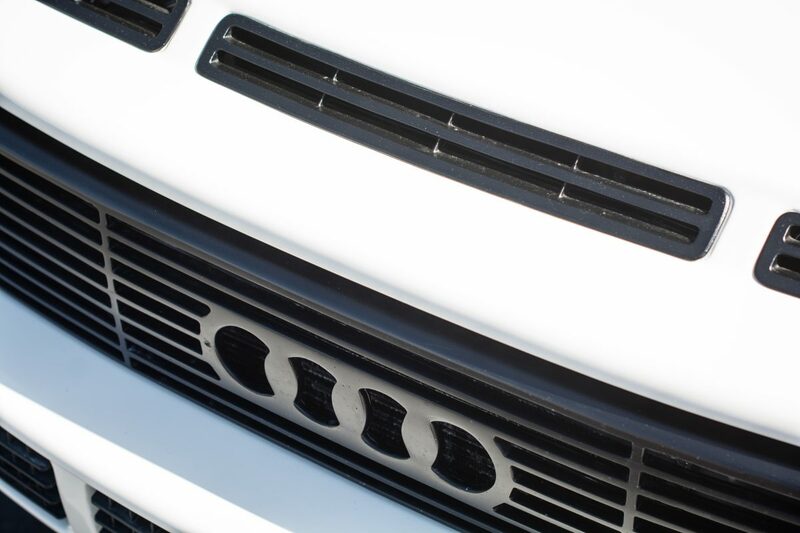 Dean has had the pleasure of owning this widebody Audi Ur Quattro for over 15 years now, during which it has been through multiple evolutions to arrive at the finished product you see here today. 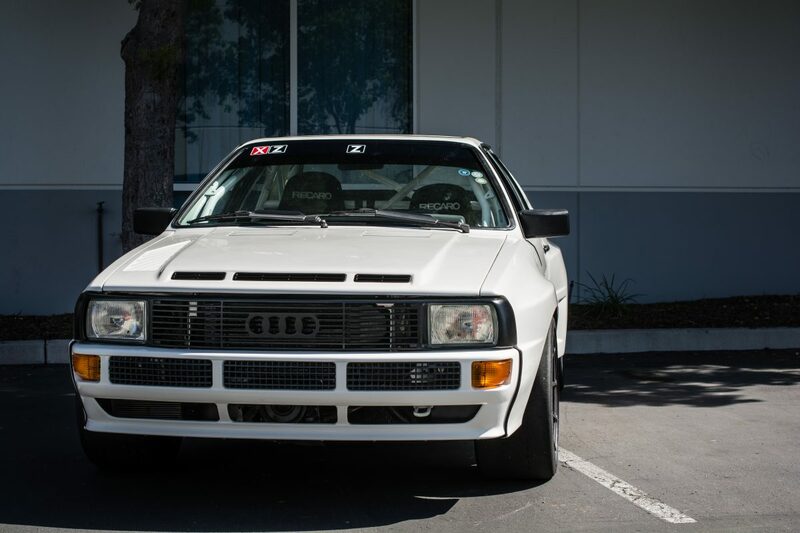 Initially, he bought the car as a fairly unassuming Audi Quattro with a 20vt swapped in for a little added power. The car still had a full factory interior, and appeared stock from the outside as well. Dean drove the car as it was meant to be driven, including various HPDE events such as track days and hill climb competitions. As it goes with the dangerous nature of auto racing, the car went for an unexpected trip “off-course” during the Virginia City Hill Climb in the early 2000’s, leaving a rebuild in it’s future. Close one chapter, and open the next for this Ur Quattro. After the hill climb incident, Dean wanted his car to come back stronger and better than ever before. 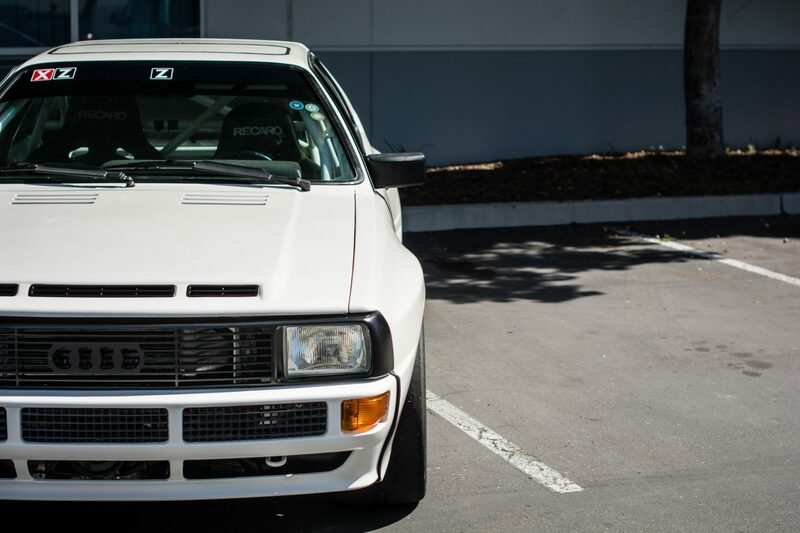 At this juncture, it was decided to make this Ur Quattro a dedicated race car with the help of 2Bennett. The interior was completely gutted, and a proper roll cage was put in place to protect any of its potential future drivers. Once safety was addressed, the chassis was in need of some serious tightening to revive the old UrQ and get it handling how it should. To tackle this, the car found its way to 034Motorsport for a slew of upgrades in order to bring the power and handling to the next level. Motorsport-Spec Mounts were fitted throughout the chassis to eliminate any drivetrain slop, including motor, transmission, and rear differential mounts. Comprised of CNC-machined billet aluminum and delrin, the motorsport offering provides a no-compromise solution when looking for the ultimate reduction in drivetrain movement. Lastly, new Delrin Small Chassis Audi Control Arm Bushings were installed to tighten up the steering feel and eliminate the unsettled feeling from the old rubber bushings. With the drivetrain locked down and chassis feeling tighter than ever before, it was time to turn focus toward adding a little pep in this Ur Quattro’s step. The 20vt motor that had been swapped into the car early on provided a nice bump in power from the original 10-valve five cylinder offered by Audi. For the bit of extra power Dean was searching for, he opted for a proven Garrett K26/GT2871R turbo upgrade including oil lines, water lines, and silicone turbo inlet hose. A proper tuning package was in order to make the most from the larger turbocharger, including upgraded injectors, a 1.9 BAR wastegate spring and a chipset controlling boost and timing/fueling. The 2.2T 20v gains plenty of low to mid-range torque, with full boost by 3,500 RPM and impressive power that pulls hard until the 7,200 RPM redline. The increased airflow caused by the larger turbocharger called for an intake manifold that could make the most of it. The Wagner High Output Audi I5 20VT Intake Manifold was perfect for the job, allowing for much greater flow compared to the factory unit supplied by Audi. 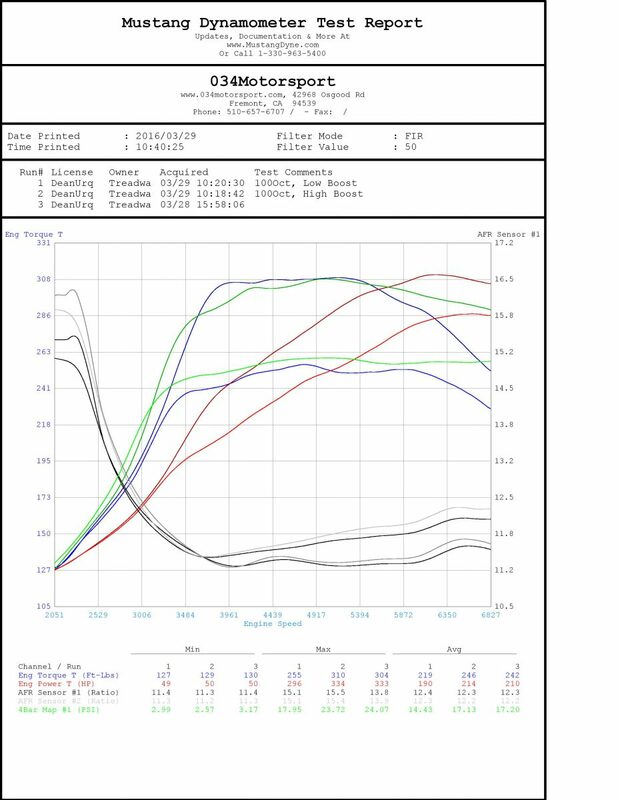 When it was all said and done, Dean’s Ur Quattro had a very useable, broad powerband, putting down peak figures of 334 WHP and 310 WTQ on our in-house Mustang dyno. 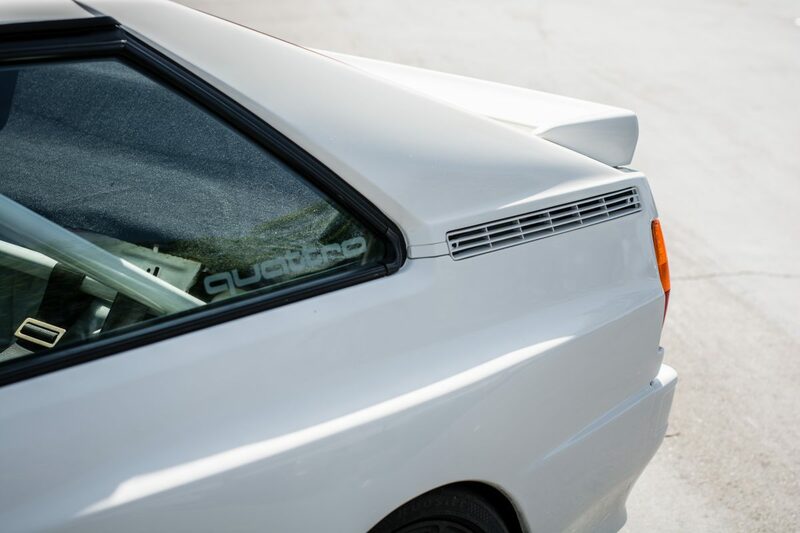 With all this talk of the Ur Quattro's performance upgrades, you’ve surely noticed this is no longer a stock-bodied UrQ. In order to widen the track and fit some sticky Hoosier slicks under the car, it went through a widebody conversion at 2Bennett utilizing parts from it’s evil sibling, the Sport Quattro. 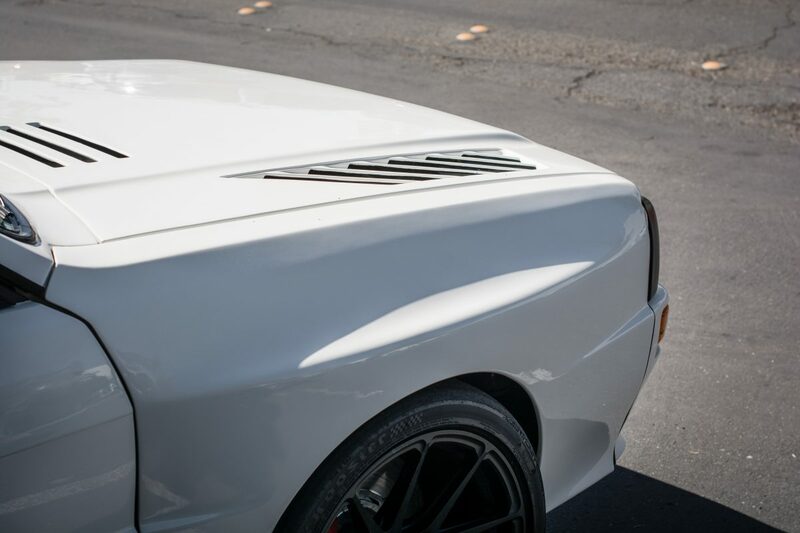 The rear quarter panels, front fenders, front bumper, and hood were all replaced in the name of performance. Needless to say, Dean’s car is truly the whole package, where every aspect of the car has been enhanced to improve the overall driving experience. Well played Dean, well played. 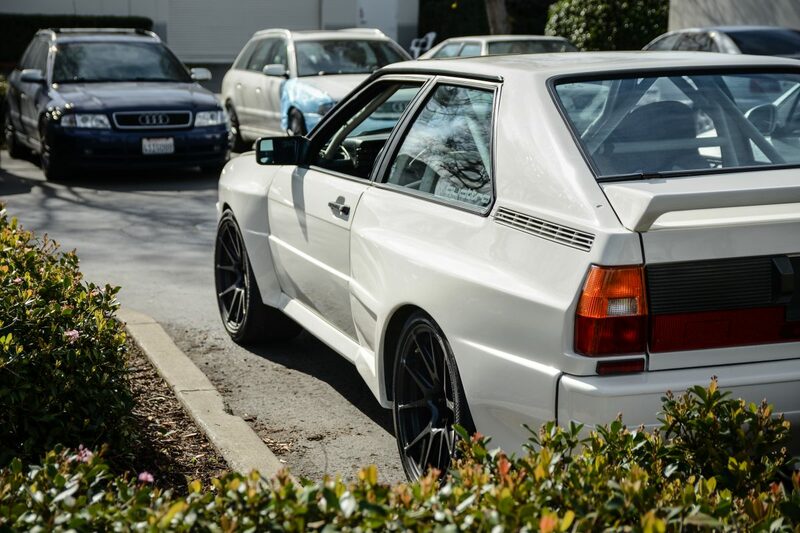 what a Quattro! well done gents. Great Car! I've driven it in all but the first iteration. Keep on rockin' T-way and 034! Javad & Christian - -get your butts out to Road America this year. I really like this car. Do you drive it on the street? What can you recommend for a 99 A6 Quattro? 299K miles with a Eaton supercharger. I know, with the miles I'll be doing something soon but what? How can I still drive this on the street and still kill the occasional miscreant with a well setup 30V 2.8. Hope you find something you like, and best of luck with your project! wow! that is nice work. one of these days I will upgrade my suspension with 034. What size wheels are these? And offset? Great car and nice owner who is a spectacular driver. I rode in this car for over 20 min at an open track day. We passed everything out there with the exception of a DB. Got a great GoPro of it all.